Google yesterday set off another controversy when it announced the acquisition of Streams, DeepMind’s algorithm-based healthcare data management platform. The controversy stems from what the deal’s detractors view as a breach of trust by Deepmind. The UK-based AI startup, which was purchased by Google‘s parent company Alphabet in 2014, has always maintained that it operated autonomously underneath the umbrella of Google. As such, it’s long said it would never share identifiable patient data – from its healthcare endeavors – with Google. DeepMind has also published a 38-page master agreement (PDF), which outlines exactly what has been agreed between DeepMind and the Royal Free. All the data shared with DeepMind will be encrypted and parent company Google will not have access to it. Now Google is running Streams, and many experts claim this breaks the promise DeepMind made to protect the private medical information of more than 1.6 million patients. This is TOTALLY unacceptable. DeepMind repeatedly, unconditionally promised to *never* connect people’s intimate, identifiable health data to Google. Now it’s announced…exactly that. This isn’t transparency, it’s trust demolition. There’s good reason for privacy advocates to be concerned, but perhaps the news would be received differently if Google hadn’t spent all year destroying the consumer trust it’s cultivated over the past decade. A couple years ago, that may have been the end of it. Google and DeepMind say they won’t exploit private healthcare data, a few experts think they could. Seems like a non-starter, as far as news stories go. But if you do a Google Search for “DeepMind” right now you’ll find a dozen or more stories about the Streams app handoff, and nearly all of them cite privacy experts’ concerns. That’s what happens when a company disenfranchises its employees, ignores the government, and treats its customers and clients like afterthoughts. Google’s gone rogue, at least compared to the way it operated 24 months ago, and that’s why nobody trusts it to do what it (or any company it owns) says it will. The theme here, throughout all of the company’s controversies this year, is that Google appears to have no rudder. 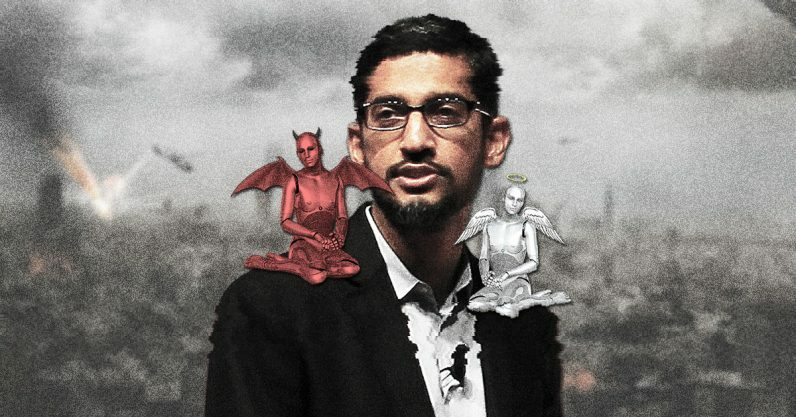 For example, CEO Sundar Pichai recently admitted Google was testing a censored Search engine to serve China, something co-founder Sergey Brin said the company wouldn’t do over human rights concerns. Unpredictability isn’t a virtue for a trillion dollar company. It’s no wonder that the mainstream media, privacy experts, healthcare pundits, and the general population doesn’t trust Google with the world’s private healthcare data. We no longer have any reason to. And that’s a shame, because when the argument over the Streams app first began, in 2016, a few people raised the alarm and were quieted by the consensus that DeepMind’s reputation was such that we should view the potential benefit as greater than the risk. Now, just two years later, people no longer trust Google. It doesn’t really matter what it does with the data now, because the only thing keeping Google from misusing it is its word; and that’s a currency that no longer has value.